ALL DOLLED UP AND READY TO ROLL! “The reformed New York Dolls slayed capacity crowds at two shows,” says David Fricke of Rolling Stone. Fresh from their performance at this year’s South By Southwest Conference in March, the newly reformed Dolls are hitting the road for a series of East Coast and Midwest dates beginning with three nights (April 28-30) at Irving Plaza in New York City . Led by surviving original members David Johansen (vocals) and Sylvain Sylvain (guitars), the legendary, androgynous glam band–whose early 70s classics New York Dolls (1973) and Too Much Too Soon (1974) presaged the later explosion of punk and heavy metal-are also slated to hit Boston (Avalon Ballroom, May 12), Philadelphia (Trocadero Theatre, May 13), Washington, D.C. (the WHFS Festival at M&T Bank Stadium, May 14), Cleveland (House of Blues, May 16), Chicago (Metro Theatre, May 17) and Detroit (Majestic Theatre, May 18). The current Dolls lineup, which includes guitarist Steve Conte (Company of Wolves), bassist Sami Yaffa (from Hanoi Rocks) and drummer Brian Delaney , wowed the crowds with two tighter than ever performances and a mix of classics (“Personality Crisis,” “Looking for a Kiss,” “Puss N’Boots”) and new material. Many believe The Dolls created punk rock before there was an official term for it, forging a hard rock blend that built on the Rolling Stones’ dirty rock & roll, Mick Jagger’s androgyny, girl group pop, the glam rock of David Bowie and T. Rex, and the Stooges’ anarchic noise. Their drug-fueled performances influenced a generation of musicians in New York and London , who all went on to form punk bands. And although they self-destructed quickly, the band’s two albums remained two of the most popular cult records in rock & roll history. All of the members of the New York Dolls played in New York bands before they formed in late 1971. Guitarists Johnny Thunders and Rick Rivets, bassist Arthur Kane, and drummer Billy Murcia were joined by vocalist David Johansen. Early in 1972, Rivets was replaced by Sylvain Sylvain and the group began playing regularly in lower Manhattan , particularly at the Mercer Arts Center . Within a few months, they had earned a dedicated cult following, but record companies were afraid of signing the band because of their cross-dressing and blatant vulgarity. Late in 1972, the New York Dolls embarked on their first tour of England . During the tour, Murcia died after mixing drugs and alcohol and was replaced by Jerry Nolan. Todd Rundgren produced the band’s eponymous debut, which received overwhelmingly positive reviews, but only peaked at number 116 on the U.S. charts. The band’s follow-up, the more streamlined Too Much Too Soon , was produced by the legendary girl group producer George “Shadow” Morton; it reached 167, prompting Mercury to drop the band. By the middle of 1975, Thunders and Nolan left the Dolls, and Johansen and Sylvain assembled a new lineup for a few years before officially splitting in 1977. 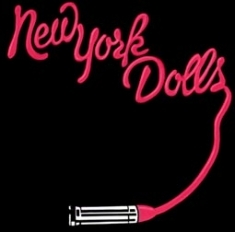 Over the next two decades, various outtakes collections, live albums, and compilations were released by a variety of labels and the New York Dolls’ two original studio albums never went out of print. Johansen began a solo career that would eventually metamorphose into his lounge-singing alter-ego Buster Poindexter in the mid-’80s. Sylvain Sylvain played with Johansen for two years before he left to pursue his own solo career. Johnny Thunders formed the Heartbreakers with Jerry Nolan after they left the group in 1975. Over the next decade, the Heartbreakers would perform sporadically and Thunders would record the occasional solo album. On April 23, 1991 , Thunders – who was one of the more notorious drug abusers in rock & roll history – died of a heroin overdose. Nolan performed at a tribute concert for Thunders later in 1991; a few months later, he died of a stroke at the age of 40. Fast forwarding to 2004, former Smiths vocalist Morrissey – onetime president of of a British New York Dolls fan club – invited the surviving members of the New York Dolls to perform at the 2004 Meltown Festival, a music and cultural festival which was being curated that year by the singer. To the surprise of many, David Johansen, Sylvain Sylvain and Arthur Kane agreed to the gig, with Steve Conte standing in for Thunders and Gary Powell from The Libertines sitting in on drums. The group’s set was well received by critics and fans (and was recorded for release on DVD and compact disc), which led to offers for other festival appearances, but only a few weeks after the Meltdown show, Kane checked himself into a Los Angeles hospital with what he though was a severe case of the flu. Kane’s ailment was soon diagnosed as leukemia, and he died only a few hours later, on July 13, 2004 , aged 55. With Sam Yaffa (of Hanoi Rocks) on bass, the remaining Dolls played a hometown tribute to their fallen brothers at Little Steven’s International Underground Garage Festival in New York City on August 14, 2004 .